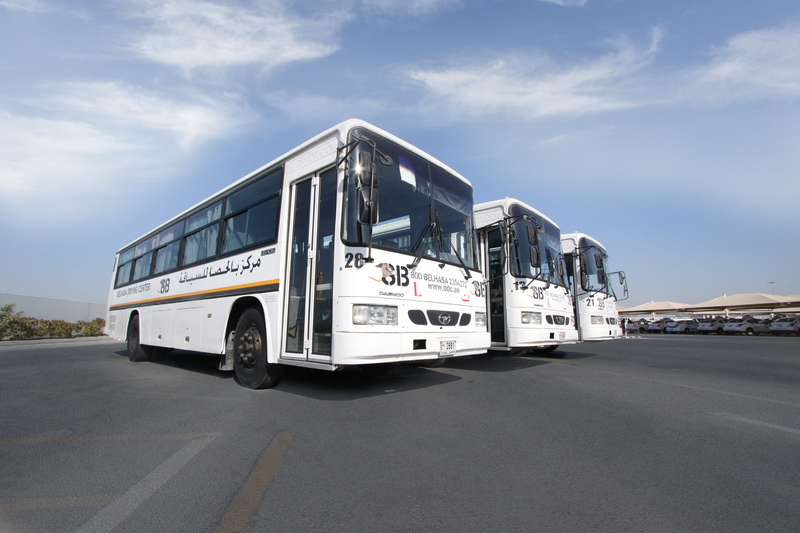 At Belhasa Driving Center, we offer specialized training courses for driving heavy and light buses. The course is designed after extensive research and touches on all basic and fine aspects of heavy bus driving. The main focus is on areas including an increase in safety margins, up gradation and improvement of customer service, reduction of vehicle running cost and improvement in passenger relations. We have amalgamated new and most modern defensive driving techniques into the course. The course also includes sessions on the modern and accepted coach driver practices. The course prepares the students for the heavy bus driver exam. After successfully completing the course, they are able to pass the traffic police RTA driving test. 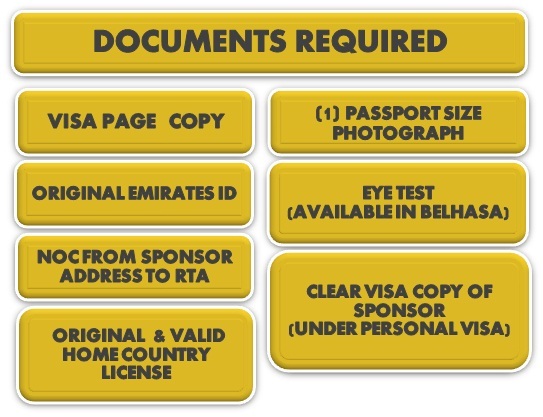 The students can also obtain the Dubai Driving License under Category 6. The student can drive passenger buses in Dubai and UAE once he/she completes the course and passes the RTA bus driver road test. Students who have Light Motor Vehicle Driving License and an experience of 3 years or more can apply for the course. You have to register with a driving institute (BDC) and open your traffic file. You will have to appear for the RTA medical; fitness exam at an RTA approved medical center during your training period. 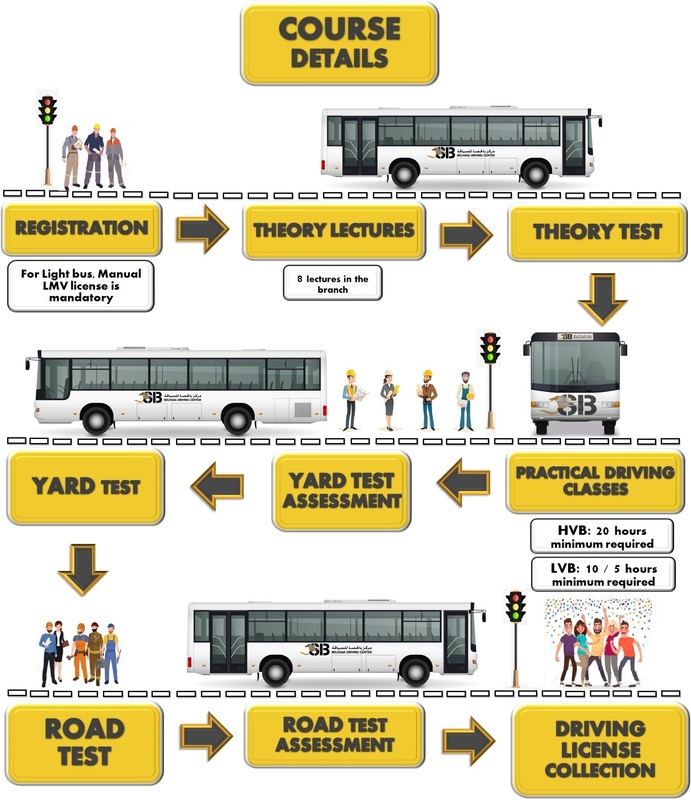 The student must pass the optical test or eye test that specifically meets the requirements of the bus driver eye judging criteria. The applicant should pass all the yard tests, road tests and undertake all the practical training classes successfully. We offer one to one instructor-student ratio for learning the course. You can learn the course in any language you want. Note. Assessment test is not mentioned which is conducted by BDC. Heavy and bus must be segregated because both have deferent procedures. Direct road test student also has deferent procedures. 2.) IF THE CANDIDATE HAS AN EXISTING DUBAI LICENSE AND HE WANTS TO ADD ANOTHER CATEGORY, THE LIC. FEE IS 430 AED. 4.) IF FAILED YARD TEST, STUDENT WILL HAVE 2 HOURS MANDATORY DRIVING CLASSES BEFORE BOOKING ANOTHER YARD TEST. 5.) IF FAILED ROAD TEST, STUDENT WILL HAVE TO 4 HOURS MANDATORY DRIVING CLASSES BEFORE BOOKING ANOTHER ROAD TEST.